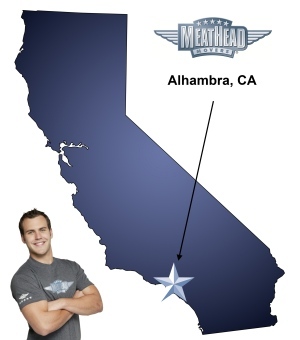 For a trouble-free move to Alhambra, Meathead Movers is the company for you! Our professionally trained student-athlete movers are ready to get you into your new Alhambra home. Inspired by fairy tales and Spanish culture, Alhambra is the gateway to the beautiful San Gabriel Valley. The city is filled with historic mansions and suburban homes that were constructed in the early 20th century. If you’re attracted to the area for its rich history and sophisticated culture, our Alhambra movers can bring your family’s possessions to the city or move you anywhere in the Western United States. With its strategic location, just eight miles from Los Angeles, this city is surprisingly well-connected. There are 191 movie theaters and 12,359 restaurants located within 15 miles. Nearly 300 golf courses are located within 30 miles of the city. With these statistics, it’s no wonder everyone is moving here. The tale of Alhambra began in 1874 when Benjamin Wilson, a successful trader and fur trapper, purchased a tract of land that he divided into spacious lots. At the urging of his youngest daughter, he named this business venture Alhambra after Washington Irving’s delightful book of Spanish travels and Moorish legends. Today, the village is still recognized for its wealth of historic homes. Over the years, the city became a sophisticated one with many festivals and cultural events. There is a wide array of festivals and family events every week of the year. Community parks, playgrounds, and sports facilities can be found throughout the city. There are dozens of golf courses located in the immediate area including the centrally located members-only Almansor Golf Club and the public Alhambra Golf Course. Like many artistic cities, it hosts a regular art walk on the first Friday of every month. If you’re moving to Alhambra, you should hire the area’s top moving company, Meathead Movers. Since its establishment in 1997, Meathead Movers quickly gained a reputation as the state’s best moving company. Our moving company specializes in local, long-distance, and commercial moves to, from, and within California. We also provide reliable packing, storage, on-site relocations, and our distinctive moving concierge service. Whether you’re moving across town or to the other end of the state, Meathead Movers will transport your items safely and efficiently. Meathead Movers hires only the most respectable, clean-cut student athletes. Plus, the same trained and professional crew will handle your job from start to finish to ensure responsibility and accountability. Give us a call at our Los Angeles County office to receive a free, no-obligation moving quote and to discover why customers say we are the best Alhambra movers. With our 100% satisfaction guarantee, the only thing you have to lose is the stress that comes from moving! Moving to Alhambra? Here are some helpful resources. On time, professional and on point movers, price explained again that morning, no wasted time. What more could you want? I was impressed with the energy and dedication to the job at hand by all, also by everyone's politeness. The movers were polite, attentive, and thorough, in addition to being strong. "Meatheads" really is ironic, isn't it? The guys took direction very well. The movers were courteous and positive. They were "no nonsense" in their work ethic and got right to work moving furniture and boxes. They were careful with my belongings and were open to my opinions and concerns. They didn't leave until they made sure that furniture in every room was placed right where I wanted it to be. I especially liked that way I was called several times over the course of two weeks to make sure the move was a go, checking dates and times. Friendly guys, professional service, awesome experience! The packers were prompt. They were nicely dressed. They were efficient and pleasant to work with.